Samsung unveiled the Galaxy A80 this morning, a funky new addition to its Galaxy A lineup. Just so we’re clear, I like the look of this phone, and while I could live without the, “Designed for digital natives who want to interact, play and share in the moment,” I still it looks intriguing. 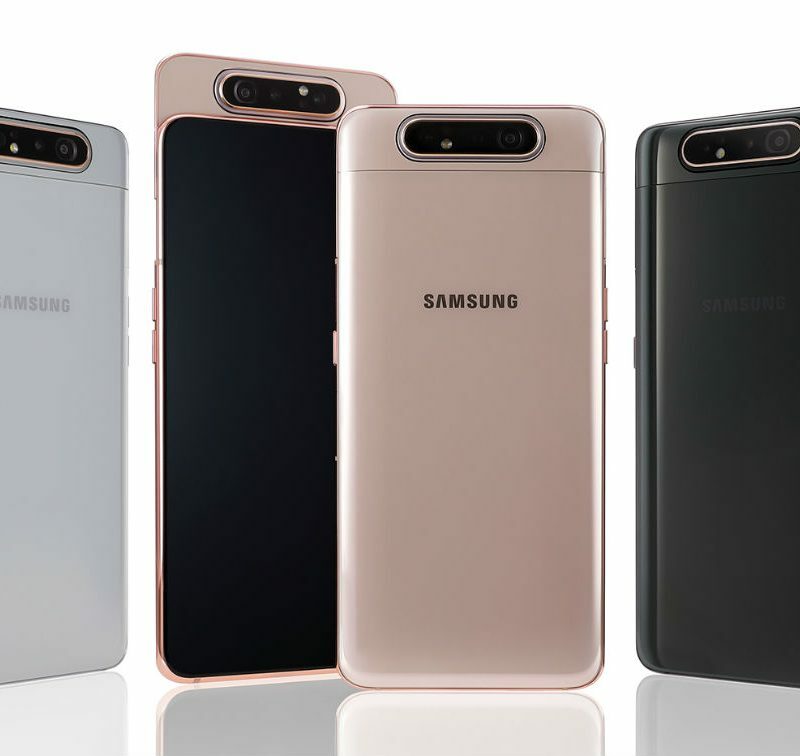 Galaxy A80 is Samsung’s first phone to feature a rotating camera. 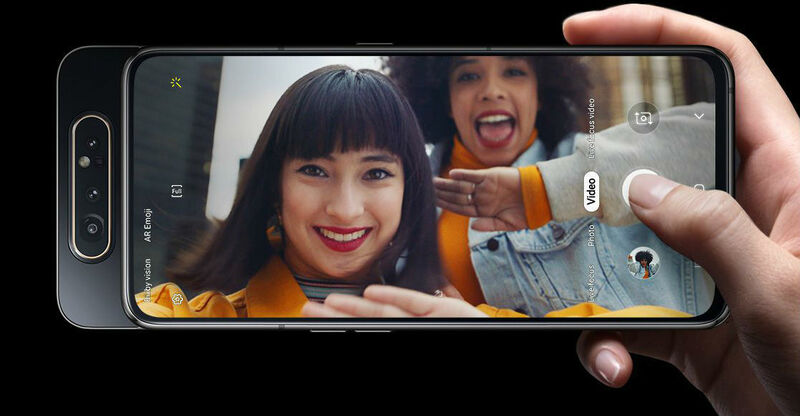 When users select the selfie mode in the camera app, the three cameras automatically pop-up from the back of the phone and rotate. The three rear cameras consist of a 48-megapixel Main camera, 8-megapixel Wide camera, and 3D Depth camera. Other specs for the Galaxy A80 include a 6.7″ Super AMOLED FHD+ display, octa-core processor (may vary by market availability, but likely an Exynos), 8GB RAM, 128GB storage, 3,700mAh battery, on-screen fingerprint reader (Ultrasonic not mentioned, so we assume it’s an optical reader), and Android Pie with One UI on top. Samsung has not yet revealed pricing or availability, but the phone does appear to be currently targeted to Asian markets. I would not be upset if it launched in the US, though.